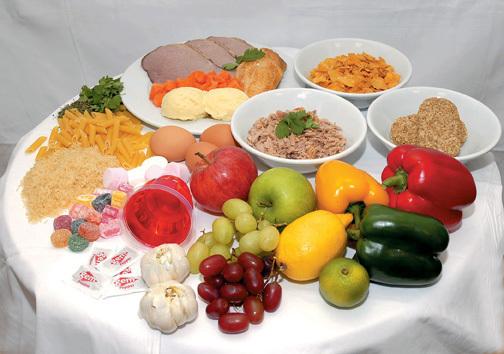 Dietary treatment is an important aspect of care for all patients with kidney disease. It is necessary to meet with your dietician to discuss individual needs for your renal diet. The following information will give you an overview of a renal diet, prior to dialysis, and also what to expect when you commence dialysis. You will be informed by the dietician when it is necessary to commence this diet. All patients have different dietary needs, so it is important to start this diet only under the guidance of the dietician. A healthy balanced diet contains correct amounts of protein, carbohydrate, fat, vitamins and minerals. It is important that your diet is balanced and varied to keep you in optimum health. â—� Control of blood pressure. When food and drinks are consumed, our bodies use what is needed and the rest is turned into waste products which can be excreted as urine. When your kidneys are not working properly, these waste products can build-up in your blood and cause complications, which will be discussed in the following sections. Salt is an important aspect of dietary treatment at all stages of your kidney disease. High intake of salt, from the diet, can cause problems with blood pressure control and fluid retention. 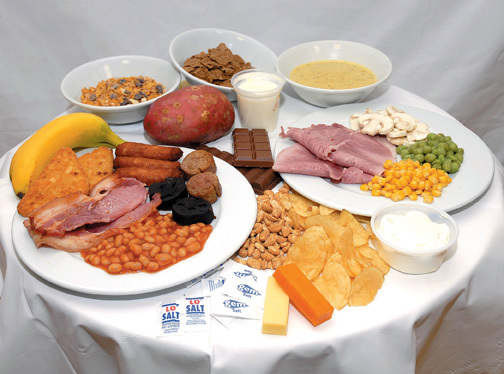 It is advised to avoid adding any salt to meals and also to reduce the intake of very salty foods such as processed meats, bacon, sausages, soup and packet sauces. Your dietician will advise you on suitable alternatives to using salt. Protein intake from the diet is important during the progression of chronic kidney disease and also when you commence dialysis. The protein we eat is used for tissue repair and growth. Any unused protein is broken down into waste products, including urea and creatinine. As your kidneys are unable to excrete urea and creatinine properly, they build up in your blood and cause symptoms such as nausea and loss of appetite. By eating large amounts of protein foods e.g. meat, fish, chicken, eggs, cheese, milk and yoghurt before commencing dialysis, you will affect the buildup of urea and creatinine in your blood. An appropriate daily intake of protein should be advised by your dietician. and CAPD sessions. How much protein you need depends on your body size and is specific to each individual. Phosphate is another mineral found in many foods, mainly meat and dairy products such as milk, cheese, yoghurts, and also bran nuts and cola. Calcium and phosphate work together to keep your bones, teeth and blood vessels healthy. When phosphate and calcium levels are elevated, or out of balance in kidney disease, the extra calcium and phosphate join together to form hard deposits in your body. This is known as calcification. These deposits can form in the heart, lungs, blood vessels, joints and other soft tissue. High phosphate levels also affect your bones, causing kidney bone disease. Over time bones become brittle, weak and painful and liable to fracture easily. As with potassium, an elevated phosphate level will require you to reduce the intake of phosphate from your diet. It may also be necessary to take phosphate binding substances with your food to reduce the absorption of phosphate from the gut. Potassium is a mineral found in many foods, mainly fruits, vegetables and potatoes. It is necessary for muscle contractions but a very high level in the blood can be dangerous as it may cause irregular heart rythym. 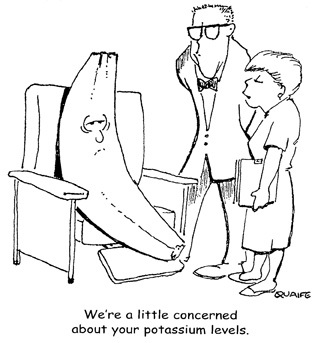 If your potassium levels increase, above normal, you will need to avoid certain foods that are high in potassium as advised by your dietician. High sources of potassium in the diet include bananas, dried fruit, peas, beans, spinach and potato products such as chips and crisps. The dialysis diet provides enough potassium to meet the needs of your body, while preventing accumulation between dialysis sessions. If you are treated with haemodialysis or peritoneal dialysis you may need to limit your fluid intake. The amount of fluid you will be allowed depends on the amount of urine you produce. You can reduce your fluid intake by using small cups/glasses, and spacing out your drinks throughout the day. You can also help prevent thirst by limiting the amount of salt and salty foods that you eat. Each person, with kidney disease, is very different and so are their needs and requirements. The dietary advice you are given depends on a number of factors including the stage of kidney disease, the type of treatment you are on, your blood results, your body weight, and the presence of other medical conditions e.g. diabetes mellitus, high cholesterol levels. The dietician will, therefore, provide you with information that is designed for you as an individual to suit your own specific needs.